Earlier this year, I had the pleasure of reading the latest work from Emma Eden Ramos, Still, At Your Door, which I reviewed in February. It is not only a story about a young girl, Sabrina Gibbons, who wants a normal family life, but also a young lady looking for herself among the wreckage of her family and in the world around her. A Streetcar Named Desire plays a strong role in the story, but it is by no means a retelling — it becomes a way for the author to parallel Tennessee Williams‘ work. Bri’s mother is like Blanche the main character in the play, clinging to her youth as much as she can, even as it slips away. But this is Bri’s story. I really enjoyed this ambitious work that explores not only coming of age in a broken home, but also bipolar disorder and its effect on the family. For more on Ramos’ psychology angle and thoughts on her writing, check out my interview with her. Sabrina “Bri” Gibbons has only a few short minutes to pack her things and help her sisters pack theirs before running with their mother to the bus that will whisk them away from Butler, Pennsylvania, an abusive relationship, and a secret that none of them wish to acknowledge. She was not prepared, though, for her mother to drop them on the streets of New York with the promise that she would be right back. Haunted by the sight of her mother running back to the cab, Bri, with Missy and Grace in tow, settles in with their grandparents. Thoughts of her present and her future collide with memories of her past, her dead father, and her mother’s bizarre episodes. She watches her sisters struggle with school and acceptance, all the while knowing the lack of any sense of security will make it impossible for them to carry on as ‘normal’ children. She finally lets her guard down enough to allow someone else in and sees a faint glimmer that her dreams might be attainable. Disaster strikes again, this time targeting her sister. Is it possible for Bri to find that balance between her dreams and her family’s realities? She’s received great reviews from the likes of the San Francisco Book Review. “While there at first seems to be a deficiency in description and character and world development, surprisingly, Still At Your Door becomes one of those unique stories where less is more. This quick read flows smoothly from beginning to end, and is filled with glimpses of how life ought to be, but how for three young girls it greatly missed the mark. It provides readers with a deeper understanding of the physical and emotional effects of mental illness on the family as a whole and the need for broader awareness to allow children to maintain their childhood in innocence. This beautifully written book is one I would recommend for readers of any age,” Kim Heimbuch said in the review. Her publisher also has nominated Emma Eden Ramos for The Next Generation Indie Award and A NIEA Award. For those of you who are in the United States, I’m offering 1 copy of Still, At Your Door by Emma Eden Ramos to a lucky reader who comments before Oct. 31, 2014. Emma Eden Ramos is a relatively new-to-me voice in poetry and short fiction, but she’s got such a unique perspective on her stories that make it fresh and memorable. Her poetry, particularly in Three Women that I reviewed last year, offers well drawn voices and perspectives, and her poems are memorable in the images that they create. It is no wonder that she brings these same talents to her fiction, including the recently published The Realm of the Lost, which I reviewed earlier this week. Today, she’s agreed to answer a few questions about her middle-grade fantasy novella, The Realm of the Lost. 1. The Realm of the Lost is a novella for middle grade readers, and you’ve published poetry in a collection, Three Women. How was the writing process different for these two genres? Did one take longer than the other? Was there more editing involved with the novella versus the poetry collection, etc.? Because Three Women: A Poetic Triptych is prose-like and tells a story, I approached it and The Realm of the Lost in much the same way. When I began writing Three Woman, however, I gave myself permission to be reckless and experimental. While the idea for The Realm of the Lost cycled through my head for about a year before I was able to go anywhere with it, Three Women took two months from start to finish. Initially, with Three Women, I found myself saying, “This could be a giant failure, but so what? Why not try it out? Be messy!” That frame of mind turned out to be crucial because, while it shifted once I got deep into the writing, it gave me the starting point I needed. I consider myself more prose-writer than poet, so I was reserved about letting go and playing with The Realm of the Lost. Once I allowed myself room to be adventurous (and perhaps even silly at times), The Realm of the Lost began to take shape. The Realm of the Lost certainly required more editing than Three Women. Whether that has more to do with genre or length (The Realm of the Lost being four times as long as Three Women), I don’t know. I do know that, in both cases, giving myself ample space to experiment helped the story morph into something tangible and, hopefully, soulful. 2. Mikey, the eight-year-old boy in Realm of the Lost, is exuberant and often acts without thinking, like most little brothers. Do you have any siblings? If not, where did the inspiration for Mikey come from? And are their plans to write his own story? While I do have a younger sibling (a sister), she wasn’t the inspiration for Mikey. Let’s just say that she isn’t the one known for being “overly exuberant” and acting thoughtlessly. When I first met Mikey, I thought of him as a cross between Dickey from Dickens’ Oliver Twist and the little brother from the 1944 film National Velvet, whose signature line, “I was sick all night!” seemed to fit in with Mikey’s usual impishness. There will be another Realm story. I can’t say for sure if it will center around Mikey. He is, nevertheless, bound to make an appearance. 3. Rosario is a mysterious character, but she sort of takes on a big sisterly role with Kat, which is a bit of a role reversal for the protagonist. Was this intentional and what do you think this relationship teaches Kat about her own life? While Kat sees herself as “the patient one, the one who takes care of everyone,” she has a tendency to be quick-tempered and judgmental. As is true of many first children, Kat views her younger siblings–her sister Ellie in particular–as a burden. She is too preoccupied with being the bossy grown-up to give herself space to be a kid. When Rosario steps in and not only chastises Kat for being unkind to Mikey but takes on the role of Big Sister, Kat begins to have experiences that allow her to identify with the people she has been so quick to snub. 4. Tell us a little bit about your process in finding a publisher for your poetry and short stories. Do you have an organized method? How do you find the right publishers or do you have a network of writers that offer their advice? Finding the right publisher for one’s work can be a bit like finding the right college. There is an enormous amount of research involved. With Three Women, I was asked by the editor to write a poetry chapbook, so I didn’t end up doing the research that is typically required. With The Realm of the Lost, I kept an eye out for different publishers the moment I had the idea. Stories for Children Magazine, a journal for children’s literature that published one of my stories, had a monthly newsletter that included publishing houses accepting middle grade and juvenile fiction. MuseItUp Publishing was on that list. There are some fantastic resources out there for writers. Many genre-specific journals have a newsletter or an affiliations page on their website. It is always a good idea to search through names and visit different publishing houses’ websites. I have a list on my computer that I revisit regularly. 5. Will your next project be middle grade readers, poetry, or something else? Care to share some tidbits or a title to whet readers’ appetites? My next book will be for middle grade readers. If I had a title, I’d happily share it. That is still in the works. This book, however, will be a full-length novel. I love novellas and read them regularly, and I plan to continue writing them. But yes, a novel is on its way, so please stay tuned. Thanks, Emma, for sharing your thoughts with us about your novella, your characters, and the writing and publishing process. 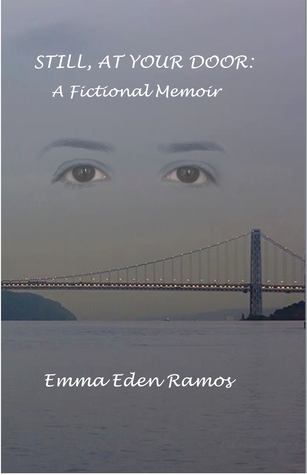 Emma Eden Ramos is a writer and student from New York City. Her short stories have appeared in Stories for Children Magazine, The Storyteller Tymes, BlazeVOX Journal, and others. Emma’s novelette, Where the Children Play, is included in Resilience: Stories, Poems, Essays, Words for LGBT Teens, edited by Eric Nguyen. Three Women: A Poetic Triptych and Selected Poems (Heavy Hands Ink, 2011), Ramos’ first poetry chapbook, was shortlisted for the 2011 Independent Literary Award in Poetry. Emma studies psychology at Marymount Manhattan College. The Realm of the Lost by Emma Eden Ramos is a middle-grade fantasy novel about a 13-year-old girl, named Kat Gallagher, who is feisty and responsible. She’s got younger siblings, Ellie and Colm, and a home life that is not what it once was, but she takes it on her own shoulders to care for her little brother whose sick a lot of the time. Her and Ellie, on the other hand, act as sisters should, especially sisters who share a room. They bicker over space, and one day on the way to school, all of the tension boils over on the streets of New York City. An accident changes everything for Kat, and she finds herself in a place that is disconcerting to say the least. Here, she meets Rosario and Mikey, her brother and sister in the realm, and she must contend with Miss A, her realm mother. Between the Tallyman, the mysterious forests, and the creepy dark mists that come out at night with Apate, Kat must navigate a strange and frightening world. What makes this world believable is Ramos’ ability to ground her characters in a place and time, despite their strange surroundings. Grandma Rose is like Kat, a feisty Irish woman who immigrated to the United States, and she is reminiscent of the grandmothers who tell tall tales from the past and generally dote on their grandchildren. Unfortunately, we don’t see much of this relationship, but a glimpse is enough to get the gist that she’s an important part of Kat’s upbringing. The relationship between Ellie and Kat is clear, though the relationship with their mother is a little less developed. However, Ramos offers the right balance of plot and description to see where Kat is and when, allowing the suspense and tension to build to the twist. The four realms and what they signify are interesting, and could bring additional inspiration for a series of novellas, if Ramos is so inclined — the possibilities are endless. But what is truly engaging is the parallels between The Realm of the Lost and Kat’s real life, only in the lost realm, Kat is forced to take on the role of younger sibling. The Realm of the Lost by Emma Eden Ramos is an adventure that teachers Kat that there are more important things than just whether you have your own room. Emma Eden Ramos is a writer and student from New York City. Her short stories have appeared in Stories for Children Magazine, The Storyteller Tymes, BlazeVOX Journal, and others. Emma’s novelette, Where the Children Play, is included in Resilience: Stories, Poems, Essays, Words for LGBT Teens, edited by Eric Nguyen. Three Women: A Poetic Triptych and Selected Poems (Heavy Hands Ink, 2011), Ramos’ first poetry chapbook, was shortlisted for the 2011 Independent Literary Award in Poetry. Emma studies psychology at Marymount Manhattan College. Please visit her Website. 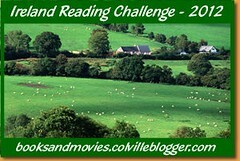 This is my 5th book for the 2012 Ireland Reading Challenge.